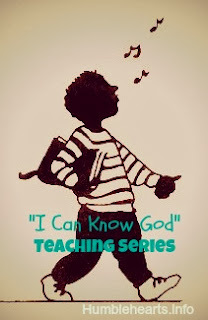 This is the second teaching in a series of 5 teachings to help teach young children about God. The target audiences are toddlers, preschoolers and young elementary; with plenty of room for you to adjust to the needs of your child. I have taught this to my preschooler and toddler. If I was just teaching it to my toddler I would have simplified it a little more. 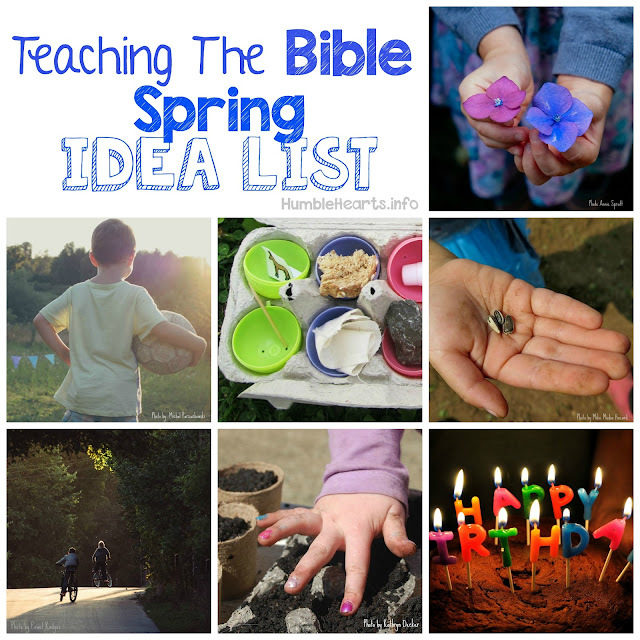 I wrote this in a way to give ideas of how to talk when teaching children the Bible. Going through the verses on your own first (as listed in the "Parent Preparation") is extremely helpful in teaching young children accurately. Genesis 1:1-31 Genesis 2:1-3, Psalm 102:24-27, Proverbs 8:22-31, Isaiah 40:28, Isaiah 45:18, Jeremiah 10:12-13, Jeremiah 32:17. God has many names (show them the sheet of God’s names) God, Lord-Jehovah, Holy Spirit. Our theme verse this week is “the Creator of the ends of the earth” Isaiah 40:28. (Read Genesis 1:1) God was before everything else. There wasn’t any heaven or earth (no ground, no sun, no trees, no animals or people) and then God created it. What are things you make? (it might be paintings, building with sand or blocks, etc) For the things you make you used something to make something new. God created something out of nothing. Only God can do this. That is why He is called the Creator. (Read Genesis 1:3) God said it and it happened. What great power! Can you just say something and then it happen? He saw that light was a good thing. How does light help us? God was so smart to make it. This was the first day. On second day God divided water above and below heaven. On the third day God made earth appear. So there was land and water. How strong God is! He made plants and trees that make seeds and fruit grow on the land. God is smart. God saw that this was good. On the fifth day God made living creature in the ocean, What lives in the ocean? And He made birds fly in the air. He saw that this was good. On the fourth day God made the sun for the daytime, the moon and stars for the nighttime. How smart and strong God is to make these good things! On the sixth day God made animals to walk around the earth. What kinds of animals do we have on the earth? God made them! He also made a man and a women. It was God’s idea to make people. And it was a good idea. He first made the man Adam. God saw that it wasn’t good for Adam to be all alone, so God made Eve to help Adam. God gave Adam and Eve plants and trees and animals to eat. Go On a Walk: Read Jeremiah 32:17 Go on a walk together with your child. Talk about what God made and created. Talk about the strength that He needed to make what you see. Talk about how smart God was in what He made and created.